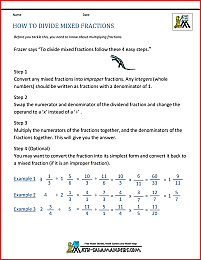 Welcome to our Decimal Division Worksheets 5th Grade. 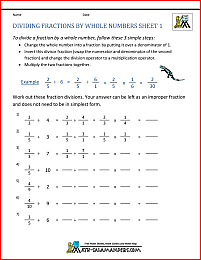 Here you will find our selection of division fact worksheets with decimals to 1dp. The decimal problems on these pages are linked to the multiplication table and involve using related facts to work out division problems. Here you will find a selection of Division sheets designed to help your child learn to use their Division facts up to 10x10 to answer related questions involving decimals to 1dp. For example, if you know that 42 ÷ 6 = 7, then you should be able to use the fact to answer questions like 4.2 ÷ 6 = 0.7 or 42 ÷ 0.6 = 70. The first sheet provides support to help kids grasp this concept. apply their division facts up to 10x10 to answer related questions involving decimals to 1dp. 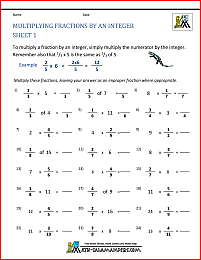 The first two sheets involve using both multiplication and division facts to complete the missing equations. They help to show the link between multiplication and division, and also that a fact sentence can be written in lots of different ways. We also have some 4th Grade Division related facts worksheets. We also have long division worksheets both with and without remainders.